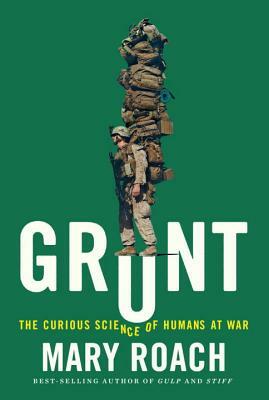 Grunt: The Curious Science of Humans at War explores the amazing innovations that are born when brilliant scientific minds are tasked to problem solve with the astronomical budgets and resources of the United States Armed Forces. Military science is about so much more than just weapons. A military must be able to keep its soldiers clothed, fed, healthy, rested, and protected from a host of extreme, often life-threatening, conditions on and off the battlefield. It is the advances in these crucial areas that are the focus of this fascinating book. Despite the serious nature of the material, Mary Roach’s signature wit and humor are ever-present as she leads readers into the labs and battlefield simulations that save countless lives every day. Mary Roach has done it again! Her ability to take what would be boring subjects in the hands of lesser authors and make it super engaging by focusing on the most disgusting parts is unmatched. Grunt covers it all from body armor to diarrhea.